Was recommendec this by hairdresser. I have blonde hair but warm tones in the middle. I put conditioner on the ends to stop them being toned. I mixed this with shampoo to dilute and left on roots n middle section for 2 minutes as recommended by hairdresser. My hair was even patched with grey/ blue / white areas and stained my ends. Relieved I didn't leave on for longer. I did a lot of research before purchasing and when asking for recommendations from my blonde girlfriends 'Fudge' kept popping up. 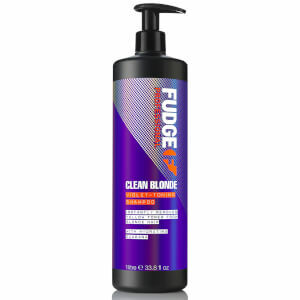 I used to use violet shampoo alongside other products because they aren't usually good at cleaning your hair but now I've completely switched over to Fudge Shampoo & Conditioner as my 'everyday' go to. I actually wash my hair every two days but it stays clean, is in the best condition it's ever been in and the colour/tone is gorgeous! 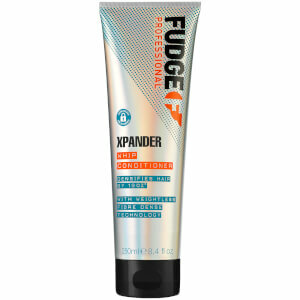 It's given my hair a really cool and creamy finish. Couldn't recommend enough!! I’ve used loads of silver shampoos and this stuff is amazing. My hair was quite yellow and this has made it go a nice ashy/silver. Would definitely recommend if you want a cool ashy shade. I have highlighted blonde tight curly hair and this is a god send! My hair gets easily dry and dehydrated but this doesn’t dry it out like normal silver shampoo. My hair takes on a yellow tinge as I wash it so often but the Fudge shampoo revitalises it and takes out all of the brassy tones! You need this in your life you won’t regret it! I tried to get back from light brown hair to blonde. Got yellow hair!! :( Didnt know what to do.. but thanks to this profuct, my hair now is amazing blonde! Recommend !!!! Best product ever!! I used this for the first time today and I'm very happy with the results. I had bright platinum/silver roots to midlengths but towards the ends it was more warmer and darker with unwanted yellow tones. After the first use its turned my hair all the same colour, it's now a gorgeous bright silver blonde roots to ends. Really recommend if you want to get rid of nasty yellow tones! Unlike a lot of brands you find in the supermarket, this purple shampoo really does neutralise brassiness. It leaves my hair quite dry, like a lot of purple shampoos, but is absolutely fine when paired with an intensive conditioner. Definitely would recommend. 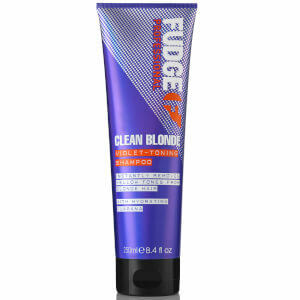 Can't believe the value for money here, this is one of the best blonde shampoos I've ever used! I was pretty brassy inbetween trips to the salon and so I used this frequently in the first week, and then after for maintenance I would use a few drops and dilute it with my day-to-day shampoo. Has been a lifesaver! !